Week day mornings call for me to get my basics on. I work in an office full of guys, so any interesting eyeshadow colours or bright lips are met with looks of, "why didn't you just spend that extra time in bed?". Now, the no makeup makeup look doesn't mean that it's only going to take you 5 minutes to do, but it does mean you've got a great base for any look to build from. It's my go to on days where I want to let my skin speak for itself and those days at home where I can't tell if someone might pop round. Nothing worse than being makeup less when the in-laws drop in for a cup of tea! But this safeguards you against the inevitable stares if you've got the trowel out to put on your makeup when you're still in your pjs. Moisturising is an important first step, but even with that we're going to go all out when it comes to giving our skin that plump, nourished look. I like to prime using the Revlon PhotoReady Perfecting Primer, as I find any makeup stays on longer and my pores are less defined, but you can skip this step if you prefer to go without. Taking a decent squeeze of The Body Shop All-In-One BB Cream, buff it all over the face with a buffing brush or use your fingers and massage it in all the way down to the neck. I'm such a fan of this super light BB Cream, it's gives off an iridescent glow that I can't match with any other product. As this will be a really light base, we have to go in with a concealer to cover up any worrisome areas. Think under the eyes, around the nose and any hyper pigmentation or spider veins. 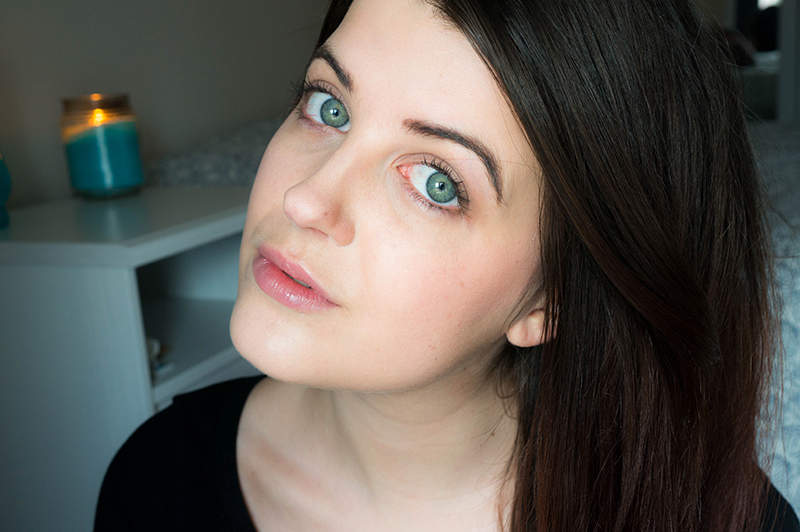 I've been having a love affair with the Seventeen Phwoarr Paint, something I was really shocked at as it's such a full coverage concealer that I figured it would cling to all my dry patches and make everything look caked on. Not the case here, so I go in with my Real Techniques Expert Face Brush and dab it where it's needed, making sure to properly blend for a soft, diffused look. To add the colour back in, as naturally as possible, the Revlon Baby Stick in Tahitian can be applied directly from the bullet onto the tops of the cheekbones. This is so light, easy to blend and achieves a pinched colour. My go to product for simple and quick brows is the Maybelline Brow Drama Brow Mascara, as with a few swipes I've filled in any major problem patches and tamed any strays back into place. A layer of Naked 2 from the Urban Decay Naked Basics Palette gives a little definition to the eyes, and with Faint in the crease and a whole lot of blending it's very subtle. This is the time to curl your lashes and then apply one coat of Revlon Lash Potion as it keeps the lashes understated, while a dab of Benefit Coralista Lipgloss gives a light sheen to the lips. No makeup makeup at its finest. What products do you wear when you want to appear like you've just 'woken up' like this? Want to advertise with me in February? Look to the sponsor page. You look gorgeous, you really suit this no makeup makeup look ! Love it, looks so natural and effortless! I'm definitely curious about that Maybelline brow mascara... I think tinted brow gel is amazing for quick and easy brows! I've just picked up brow drama and loving it so far. It's definitely the perfect speedy solution for brows. I have been going with a basic look like this recently as well just because I wake up late and have to go to work early. Sometimes, it's nice to go with a simple look. Such a lovely glowing look! I'll definitely be looking into the body shop bb cream! OMG that BB cream is my favourite! The revlon mascara and naked basics are also total staples in my stash. I've literally already taken the photos for my own 'no makeup' vibe post with the bodyshop BB cream and also their highlighter/ysl touche eclat dupe. You look fresh and glowing! :) You've convinced me to try that Body Shop BB cream! Makes me want to go out and buy all of these products! Lovely, your skin looks radiant! I really need to try the Body Shop BB Cream, it looks amazing. I have a really weird relationship with The Body Shop-make up. I feel like they're only good for body care even though I've never actually tried their make up products. 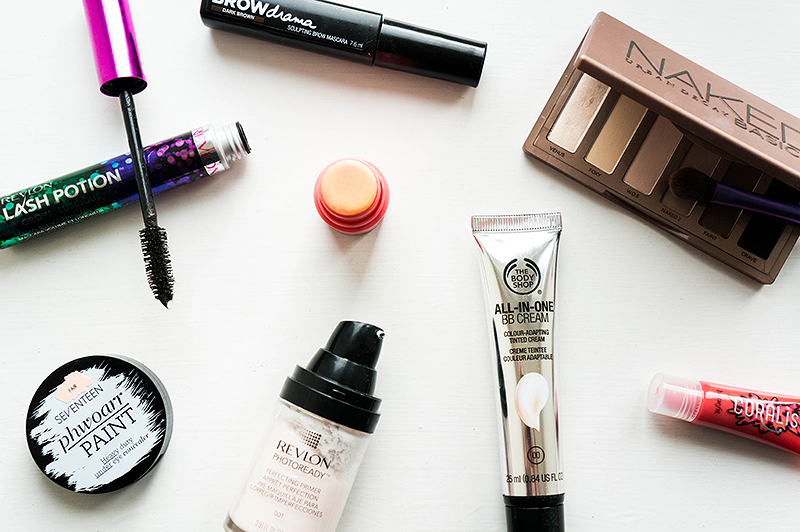 Maybe the BB cream should be a first - you can't have too many BB creams after all. Also - jesus, your eyes! I thought I had green eyes, but noooooo. I absolutely love my Naked Basics palette! You don't even need makeup, you're gorgeous as is this simplistic look! Seriously, your eyes are beautiful. Great look, I usually opt for a natural make up look too as I look a bit silly in a pharmacy with a face full of make up. Late Night Nonsense is a beauty, fashion and lifestyle blog born from a lack of sleep and too much makeup. Treat, sleep, repeat. © Late Night Nonsense 2013-2014.